As the saying goes, “If you don’t drive your business, you will be driven out of business.” – B. C. Forbes, it is very important to harbour your brand in your customers mind in order to beat the competition. 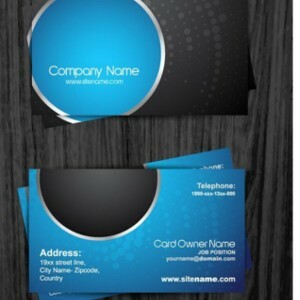 Business Card Printing is the smart choice when it comes to cost-effective marketing. Check the benefits of putting your name in print! Though business cards are an old method of business promotion, they are still popular. No other business promotion tool is as handy as business cards. The small size makes it easy to carry anytime anywhere. It is convenient for receivers as well. It can be easily placed in the wallet or pocket. Moreover, it saves time in manually noting down details such as contact numbers, website, etc. People are so busy that they don’t have time to Google your product or business. Business cards convey complete details about you and your business. So, when you meet someone who is very interested in your business, you can simply give them your business card. It acts a physical reminder when they open their wallet. If you promote your business via media, the viewer will maximum have 30 seconds to grasp the information offered. Alternatively, a business card will always show up your business and contact info. So, switch to cheap business card printing! Business cards are incredibly cheap. By designing an attractive business card, you can promote your services/products to hundreds of people quickly and cheaply. The above mentioned benefits of business cards, prove that technology has changed the face of business but has not replaced business cards.